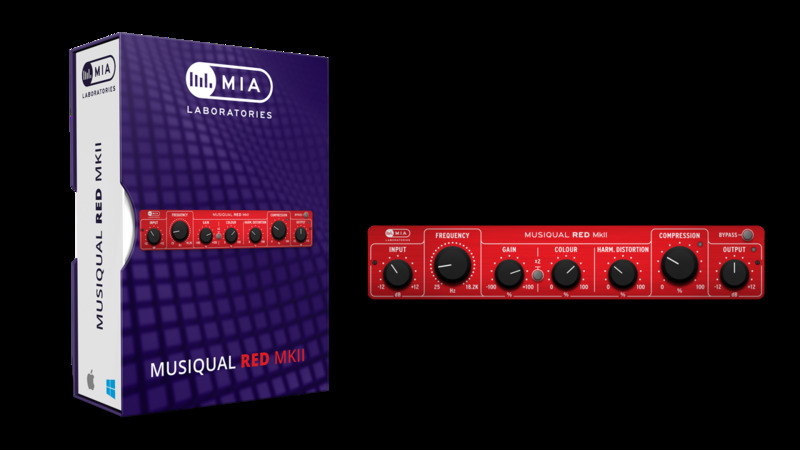 MIA Labs' Musiqual tools encapsulate all the characteristics and inner workings of their analog counterparts, and provide the user with a simple way to achieve the perfect combination of tone and color. 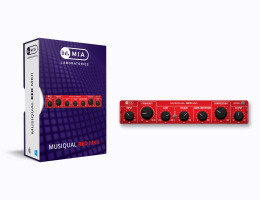 Musiqual RED is an analogue tube flavoured, single band EQ. It possesses a strong Tube flavour, boasting 31 pre-set frequency bands very familiar to Tube enthusiasts, across generations. The way that adds or subtracts colour is however more intense, while accompanied by a profound change in timbre. Its sound is of the type that the passionate Tube enthusiast lives for. Musiqual RED is destined to bring up sweet memories of historical and beloved equalizers to the older generation of sound engineers. True vintage tube sound, coupled with contemporary state of the art control and precision!